It’s been a whirlwind couple of years for Absolva; the band forming when Fury U.K. bassist Luke Appleton got an offer from Iced Earth that he couldn’t refuse, leaving fellow FUKers, Luke’s brother Chris and drummer Martin McNee, at a crossroads; Absolva was the result. Debut album ‘Flames Of Justice’ hit hard at the end of 2012, following a mightily impressive jaunt opening for the aforementioned IE. The raw and extremely ready live album/DVD ‘Beyond Live’ confirmed what a force this young outfit are and also that they possess the songs to back up the British Metal bluster. So surely ‘Anthems To The Dead’ finds Absolva in rude health and ready to take yet another swift step-up? You betcha! This not only picks up from where it predecessor left off, but it ups the ante considerably. Slimmed down to a three-piece after the departure of guitarist Tom Atkinson, the transition has been seamless; Chris now handling all the guitar duties (with a few notable exceptions), Daniel Bate on bass and McNee being simply drumtacular. 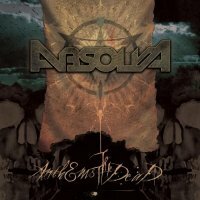 Rather than attempting to conjure some mystic imagery, the album’s title is inspired by some of the more tragic circumstances that have surrounded Absolva in recent times, the trio between them losing close family members, friends and fans; ‘Anthems To The Dead’ being a fitting tribute to the fallen. 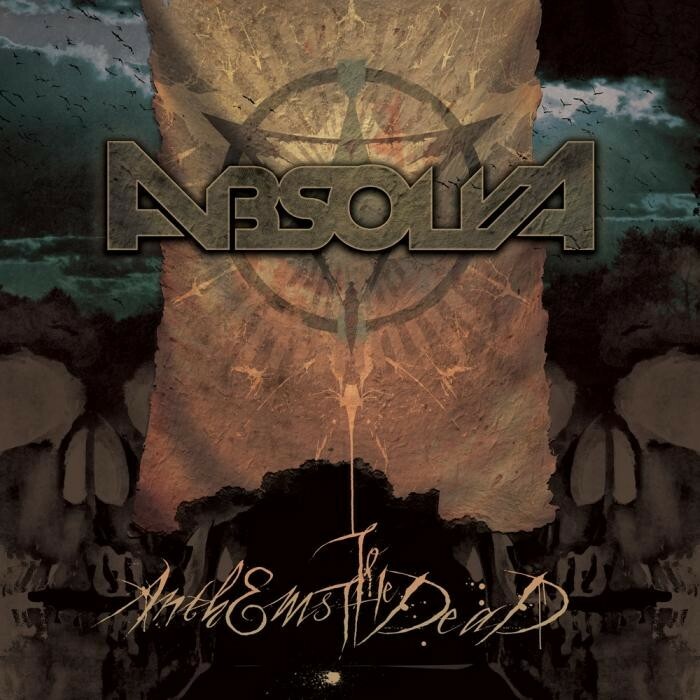 Just listen to the title track to discover the maturity in both the music and words on this album, Absolva taking serious steps towards being an act of depth and meaning, while still hitting with the old-school authority that only the likes of Iron Maiden, Saxon or Judas Priest can usually muster. ‘In Some Wild Universe’ is a prime example of how they take that well worn sound and infuse new life, each and every one of the eleven cuts on ‘Anthems...’ finding a band capable of introducing just enough of their own character and spirit even though they may not be exactly reinventing the Metal wheel. The cracking vocals from Chris refuse to ape the usual suspects (faintly reminding of a more aggressive Mike Tramp) certainly don’t hurt either. Whether through the more refined ‘The Alter & The Cross’, the pulsating ‘Killing Season’, or the go for throat opener ‘The Devil’s Mouth’, Absolva have crafted an album brimming with a potent purpose that simply won’t be ignored. Add in a jaw dropping guitar solo from Saxon’s Doug Scarrat on ‘Victimiser’ and equally impressive six-string-show from Luke Appleton on ‘Never Back Down’ and from start to finish Absolva have put a serious marker down. If there’s been a better U.K. Metal album this year, I sure as hell haven’t heard it.